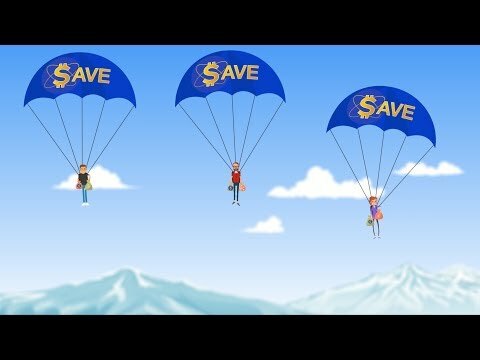 Save Token aims to support the decentralized revolution by bringing a special service. The team behind SAVE aims to attract new investors into the cryptomarket by offering a method of protection. At the same time, while the token will be required to purchase our service, we are creating a market for SAVE. Early investors will benefit. The SAVE is an organization seeking to provide decentralized coverage solution to the crypto currency users. SAVE Coin is responsible for the creation, management & distribution of the SAVE tokens. It also has the responsibility of crypto currency assets, development of coin, and the updates of future products and services followed by SAVE Blockchain. Funds received by the SAVE will be utilised to further improve the SAVE in order to increase its value. SAVE Team is committed to develop fully qualified & professional global blockchain community by cooperating with the other blockchain communities, third party services, developers and companies. The goal of SAVE Crypto Coin team is to innovate the experience of using virtual currency in real life. Ultimately, integrate in all areas related to the cryptocurrency such as finance, business, management, products, games, payments and the Internet to secure your investments. SAVE Crypto Coin team is the compatible ecosystem to develop, enhance and bridge the real world applications into the blockchain. We provide a security in your investment in crypto currency. We provide a crypto currency coverage. We provide seamless, smooth & secure payment transfers. We provide the possibility of transferring value between P2P. SAVE token ICO: Prepare & launch SAVE token ICO (website and smart contract) to begin the crowdsale. The development team will start to work to implement the initial prototype of the SAVE. Services & Projects Announced: Finalize the possible services (payment solutions & buy-back smart contract), projects (web wallet, mobile wallet) and third party tools, which will be used along with the SAVE token. Testing Performance of Coin: SAVE Token performance testing starts by development team. Testing smart contract. Coin Testnet Development Started: Development team is looking into a test-net development to make sure everything works fine during development stage. Website Launch: Launch the fully functional buy-back website and smart contract.